Linda McKenna Boxx said she has been trying for more than a decade to get Amtrak to improve accommodations for bicycles on its Pittsburgh-to-Washington, D.C., trains, which closely follow the trails that connect the two cities. On Tuesday, that goal moved a step closer to reality, when Amtrak allowed 20 bicyclists to take their two-wheelers onto the Capitol Limited train in Pittsburgh in a one-day trial of roll-on service. Such a service would be a boon to bicyclists and bike tourists who want to ride on the Great Allegheny Passage or the C&O Canal Towpath…and according to sources, retrofitting baggage cars to handle assembled bikes could be quite inexpensive. Amtrak currently offers bike-as-baggage service on most of their lines, but the bike must be disassembled and placed in a box prior to loading. Let’s hope yesterday’s trial run encourages them to speed up the timetable in offering this new service (which has been in the works for quite a few years). Being successful in whatever you do relies on a certain amount of thorough preparation and foresight. On the flip side is that we can always build on our mistakes and failures. And if Confucius and Ashe, among millions of others, arrived at the same belief, then certainly we can learn and apply this concept to many, if not, all aspects of our lives. One such aspect is making a successful trip by bicycle between 2 points. Regardless of whether these two points span the distance between 2 continents or 2 city blocks, the right preparation is always needed. Never underestimate a journey, or reason that a shorter trip deserves less preparatory attention than a longer trip. I have been burned my fair share of times thinking this way. 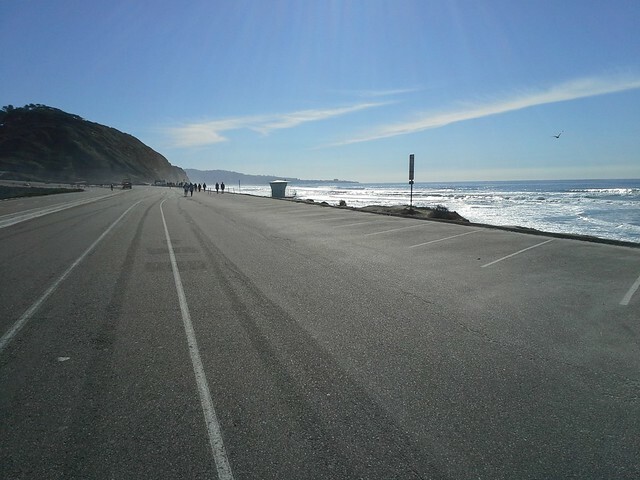 I recall one particular autumn afternoon in Southern California when I decided to go for a ride purely for leisure. My plan was to bike 5 miles in one direction and back, in total a short 10 mile ride. It was a gorgeous day, so I went longer than planned and ended up exploring a park nearby. My 10 mile ride turned into 30 miles. When I decided to turn around, the sun was already setting and some ominous clouds had set in. Unfortunately, I did not confirm the sunset time that day nor verify the weather forecast. So I set forth towards home (at that point about 14 miles away), and not more than 2 minutes into my ride large droplets of rain started pelting me. I pedaled harder, but eventually felt that I was going much slower. I looked down and as luck would have it I had acquired a flat. At that point, I was about 10 miles from home. It was now pouring and quite dark outside. I was wet, had no tire pump, repair kit, rain gear, or lights. I did not have a cell phone at that time either. Moreover, my bike route was not meant for pedestrians, and I did not bring any navigation to find an alternative route. The area was new to me, so I couldn’t “improvise” a new route. I ended up walking home, at night, with no lights, in the rain, constantly watching for fast traffic, while dragging my injured steed. A: Alimentation: food, water etc. B: Bearing: map, GPS, compass etc. C: Climate: rain gear, fenders, sun glasses, extra layers etc. E: Emergency: phone, contacts who know where you are heading, basic repair gear. Alimentation: I hydrate before the trip and bring 500cc to 1000cc of water, and for me this is enough for trips less than 20 miles. Also, I can often refill water at my destination (my work place). You may have to adjust this volume based on your own distances, climate, etc. If I do bring food, it is usually for breakfast after my morning commute. I eat plenty of carbs the night before and ride on an empty stomach in the AM (personal preference). Bearing: Before my smart phone, I would carry a small map cutout encompassing an area with the radius of my commuting distance (e.g. a 10 mile commute from A to B would require a map of a 10 mile radius area with point B at the center). A compass has also been very handy for me. Climate: I wear layers, and wicking fabrics are exceptionally useful in cold, hot, and rainy weather. Wear stuff that you can easily take off and put back on to achieve that happy medium between hot and cold. Temperature regulation is not just for comfort; it is vital for performance efficiency. Excessive sweating depletes the body of fluids and also contributes to excessive heat loss. For summers in Southern California and other areas with similar climate, if you plan on biking into the night, bring another layer; you will be surprised how chilly it can get with a 20+ mph wind whipping past your body on a cool evening. 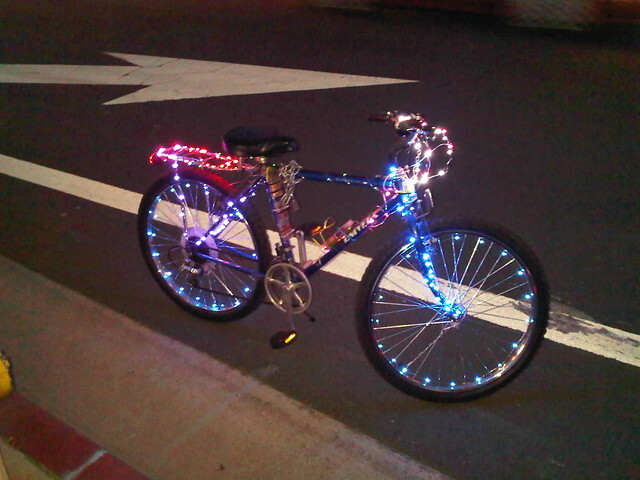 Defense: Defend your bike against theft with a lock, and defend yourself against motorists, other cyclists, pedestrians, dooring by keeping VISIBLE with a set of bike lights. I ALWAYS keep bike lights with me in my pack (can be recharged with a USB port). Night time riding is a topic unto itself, and this will be addressed in a later article. Emergency: Bring a form of mobile communication. If this is not possible, bring change for a payphone and let people know of your trip, where you are heading, and about what time you will be back. Bring basic repair gear (I take a patch kit, pump, and leatherman). For me, this gear is for “damage control”, that is, a temporizing measure that will allow you to get back home or to a destination that will have more resources for you or a mechanic to make a definitive repair. Lights, lock, liquids, lost, limp. Don’t forget your lights, lock, liquids. Make sure you have a way to prevent getting lost. And if you end up limping (either yourself or your bike), have some strategy for a quick repair of the bike or getting yourself to the right care. Take from it what you will, add to it, and improve it based on your own cycling habits. Peace out everyone. Do good and ride well. We’re lucky to have Andrew writing periodic articles for us…and if you’d like to submit an article for possible publishing, drop us a line at info[at]bikecommuters[dot]com. Our dear friends Russ and Laura have announced a few days ago that they’re embarking on another bicycle adventure. You may remember them from their 15 month + journey they chronicled on The Path Less Pedaled. AUSTIN, Texas (February 25, 2011) – At this year’s North American Handmade Bike Show, Russ Roca and Laura Crawford announced their next epic bicycle adventure. It is their “Big Adventure. Small Wheels” tour. They will be riding Bromptons – a 16-inch-wheel folding bicycle that folds into the size of a small suitcase. Combining folding bikes and trains, they will cross the country and redefine the American road trip. 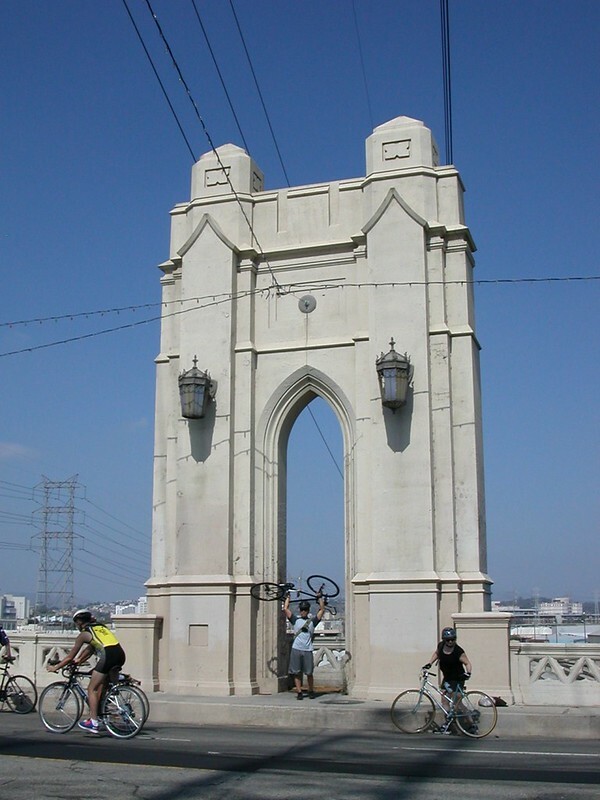 In 2009, Russ Roca and Laura Crawford sold everything they owned to travel around the US by bicycle and started PathLessPedaled.com. They pedaled 10,000 miles over 15 months, and spoke about bicycle touring, following your dreams, and simple living to people across the country. “We want to show that car-less travel is not only possible, but is a viable and adventurous way to travel,” say Roca and Crawford. This time, however, they won’t be hitting the road alone. Their 2800+ Facebook fans and 1200+ Twitter followers will assist them on their journey. Their readers will be encouraged to actively help them find fascinating people, local food stops, breath-taking views, and hidden gems along the way. It will be a constantly changing “choose your own adventure,” and their readers will help guide the way. All the while, there will be constant suspense as people wonder if they can really climb mountain passes, as well as board trains, with their small-wheeled Bromptons. Of course, we wish them luck and happiness along the way, and look forward to reading about their many adventures on The Path Less Pedaled. National Parks: Even Better On Two Wheels! 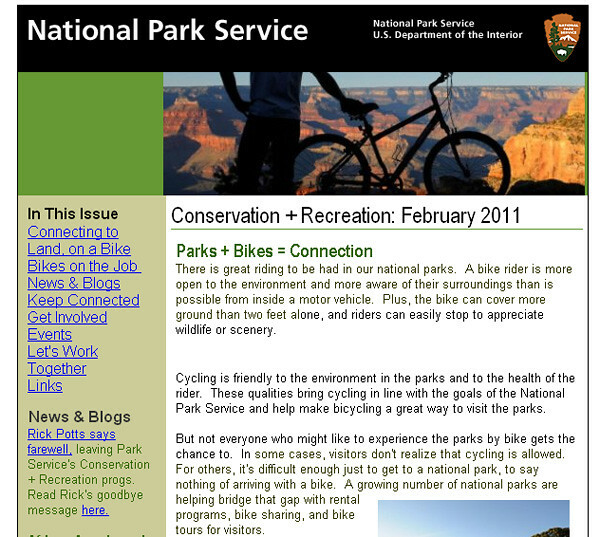 Looks like the NPS has got it “goin’ on”, with staff using bikes to conduct patrols, encouraging others to enjoy the parks as only two-wheeled adventurers can and offering bike-share programs in some parks to help get people out of cars and into the environment. Bravo, National Park Service! Longtime readers of Bikecommuters.com may remember Russ Roca, our good friend and contributor to the site. Russ and his partner Laura sold most of their belongings a little over a year ago and embarked on an open-ended bicycle journey across the United States. The book is a PDF-format e-book, and it is available for $20.00 by clicking this link (to secure PayPal shopping cart). 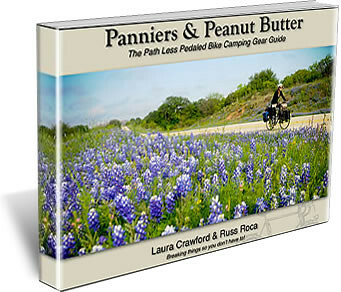 Help support Russ and Laura as they continue their journey…if the writing on their website and Facebook presence is any indication of the contents of Panniers & Peanut Butter, this e-book should be pure cyclotouring gold!! !